Today is Memorial Day, the day we set aside to honor the brave men and women who made the ultimate sacrifice for their country. At Team Kelly and Wanda, we don’t just help families buy and sell homes in Jacksonville, we live, work, and volunteer in the community. NAS Mayport makes the military an essential part of the fabric of this city. We want to take this opportunity to not only remember those who were lost in service, but to thank all of Jacksonville’s service members and their families for being a huge part of what makes this such a great place to live. Traditionally, Memorial Day marks the start of the Summer holiday season. From now until Labor Day, tourists will be flocking to the First Coast in droves to take advantage of Florida’s fabled sunshine. There’s a reason that Jacksonville Beach and Ponte Vedra Beach are such magnets for tourists. In addition to spectacular weather, Jacksonville is home to a host of unique spots and incredible activites. This Memorial Day, start your summer vacation by enjoying some of Jacksonville’s special attractions with your friends and family. There’s no better way to honor what others sacrificed than by bonding with the people who are most important to you. Obviously, the beaches are what make this such an attractive destination to tourists. With miles of pristine beaches, Jacksonville and Ponte Vedra are one of the best places in the country to enjoy some sun, sand, and surf. Get your family together and enjoy the beach on Memorial Day. From private luxury beach clubs to public beach access, there’s no shortage of ways to get to the ocean. 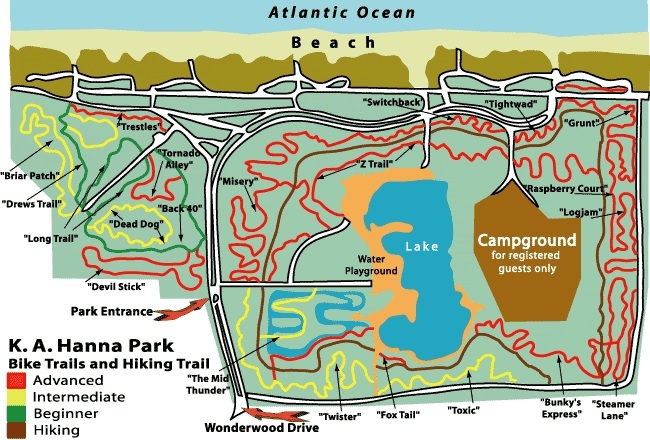 Located a short distance from the Naval Air Station, Hanna Park is one of the best ways to enjoy a microcosm of everything Northeast Florida has to offer. Whether your’d rather go for a bike ride with your family, enjoy a picnic on the beach, or maybe take a relaxing paddleboat ride, Hanna Park has something for you. And Memorial Day marks the opening of the Kids Splash Park, which is great for the little ones. Memorial Day is a great opportunity to enjoy a day off and spend time with your loved ones, but ultimately it’s all about the bravery and dedication of those who lost their lives so that the rest of us could enjoy the benefits of peace and freedom. In that spirit, there’s no better family trip for Memorial Day than to the Veterans Memorial Wall down. 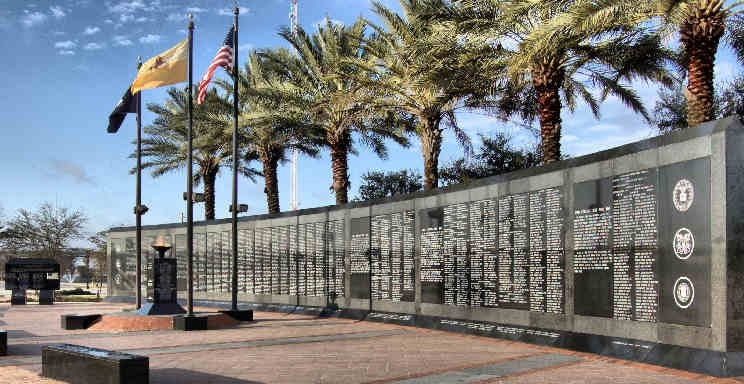 The one-of-a-kind monument pays tribute to more than 1500 Jacksonville-area veterans from all six branches of service who paid the ultimate price on behalf of a grateful nation. 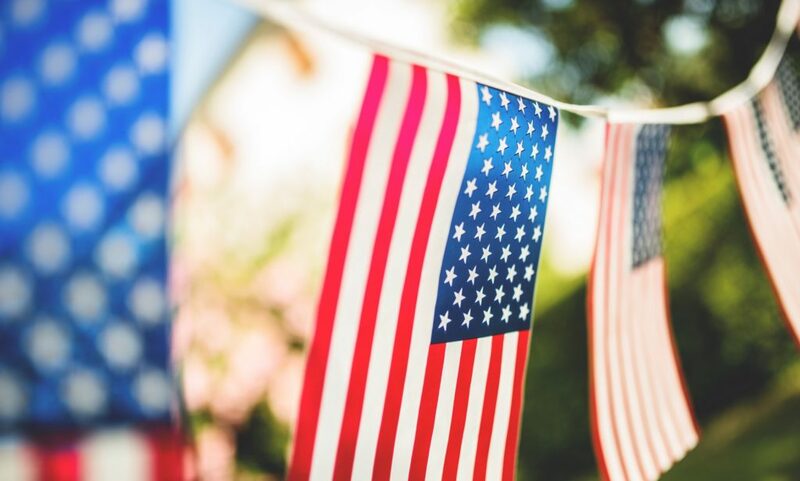 Set in the middle of a beautiful park, it’s a great way to enjoy the sunshine with your family and also honor the memories of those who died for this country.